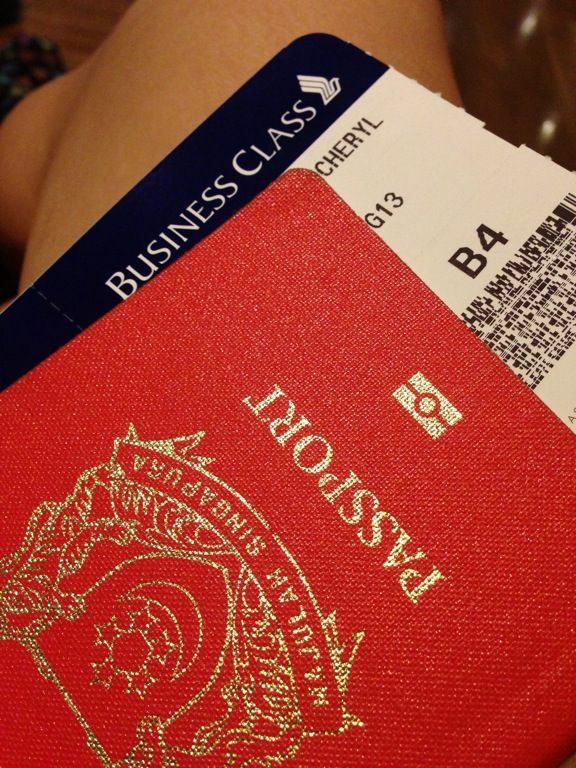 Singapore Airlines is a great way to fly. It's one of the reasons why i'm proud to be Singaporean. S and i always try to fly by SQ if it suits our travel plans. While the economy class is pretty decent, their business product is the best. It's the better-than-first-class business class! 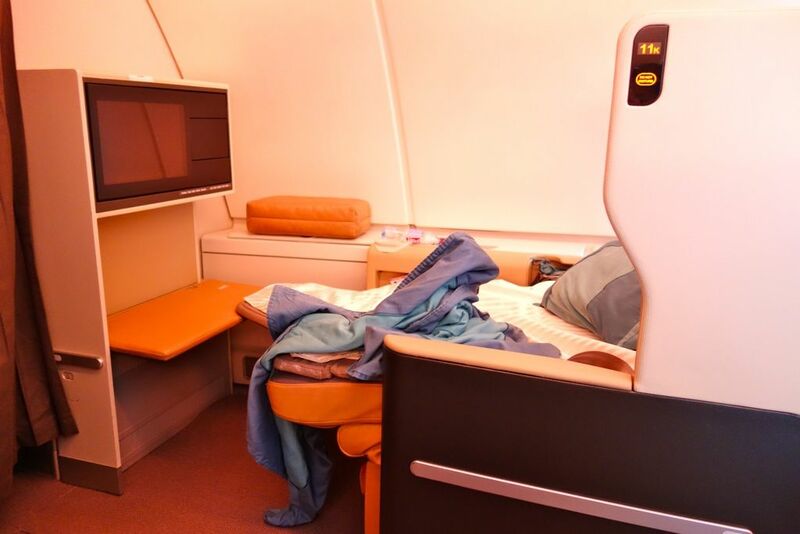 Here's a look at their International Long Haul Business Class Product on the A380 SIN-JFK route. 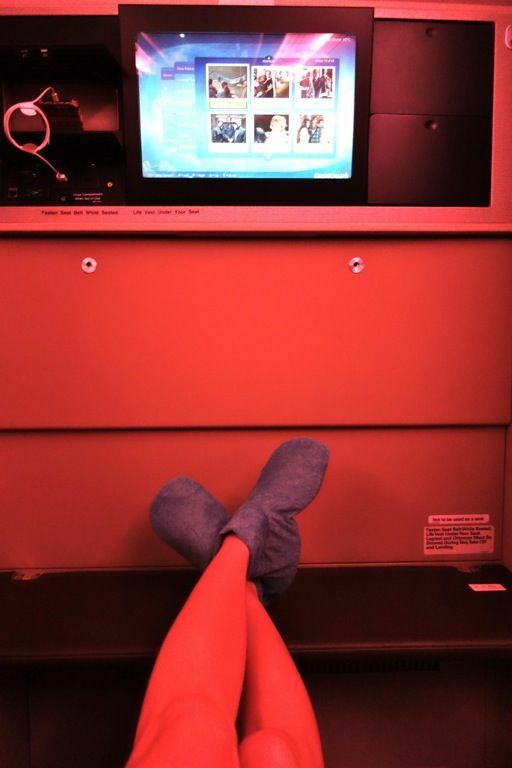 For any flight that long a ride, business class is certainly required. After checking in, i killed some time at the SilverKris lounge till it was time to board (review some other time). 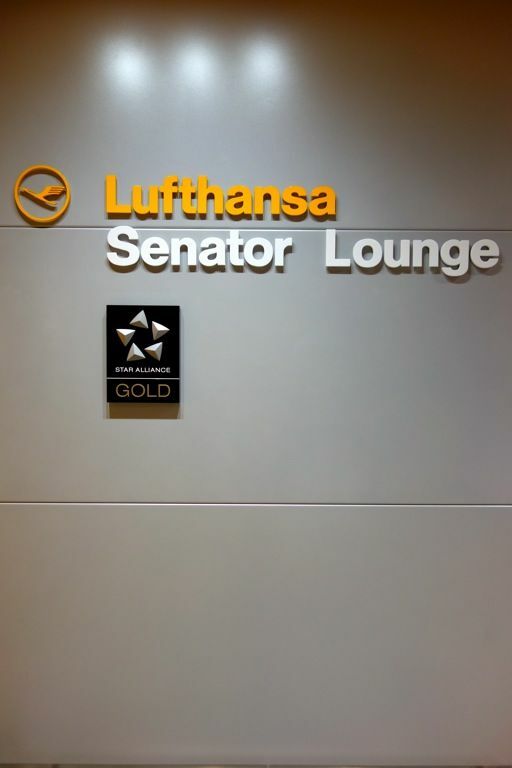 It was a breeze from the lounge through the gate to my seat due to my Star Alliance Gold status. Furthermore, the business class at FRA and SIN has a separate jet bridge entrance on an upper level solely for J. Here's a look at the cabin. 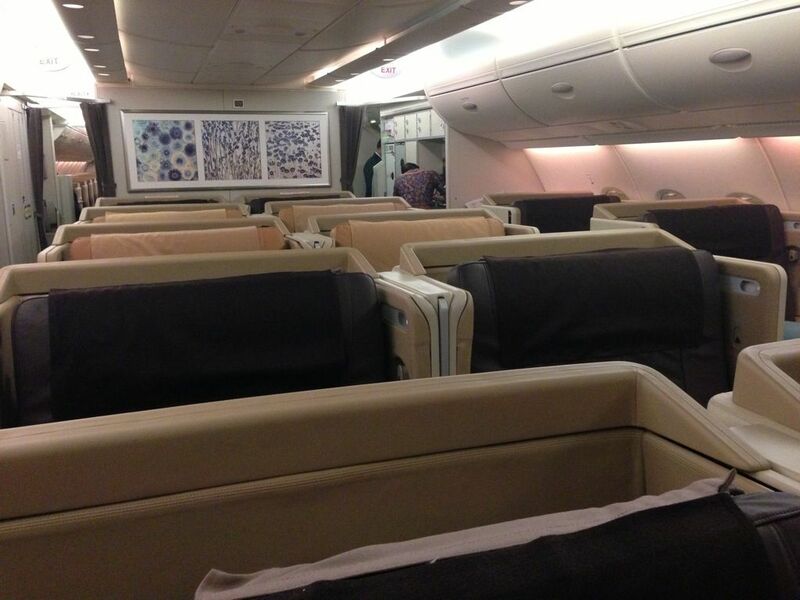 60 seats on the A380 on the upper deck. Singapore’s business class seats are arranged in a 1:2:1 forward facing layout so everyone gets aisle access. Now the seats. At least 30" wide, it is almost as awesome as that 34" on the SQ First Class Suites (read my review here). I could sit cross legged on my upholstered leather seat and still have space for my pillow and the leather cushion. Yea it's that much space to lounge, recline, stretch and roll around. There are no overhead bins above the center seats so it's just a little troublesome having to share a bin with the passenger at the window. However, there are pockets of space to accommodate small items. If you want extra leg room, the front seats are the best of course (i was at 11F). I had a hard time propping my short legs on the front shelf which also doubles as a seat. You can easily dine with your partner this way. The 15.4" screen felt a little small from where i was seated though it's honestly quite big already. No toiletry kits on J, SQ only provides them for First and Suites. You get all the toiletries in the spacious toilet. Eyemask and slipper socks are provided but i didn't like the texture of the sock. Got started on the Bollinger Special Cuvee before take off, followed by one of my favorites, the 2010 Weinhaus Ress Rheingau Riesling from Germany which is a fresh and light white that goes well with white meats and spicy Asian food. Red wine drinkers should be satisfied with the 2009 Chateau Loudenne Medoc Cru Bourgeois from Bordeaux. As it was a last minute change in flights for me (long story), i had to forgo my Book The Cook meal on my other flight (no fate with my BTC Kaiseki meal!) and settled for whatever that was served on board. Here's my supper course. 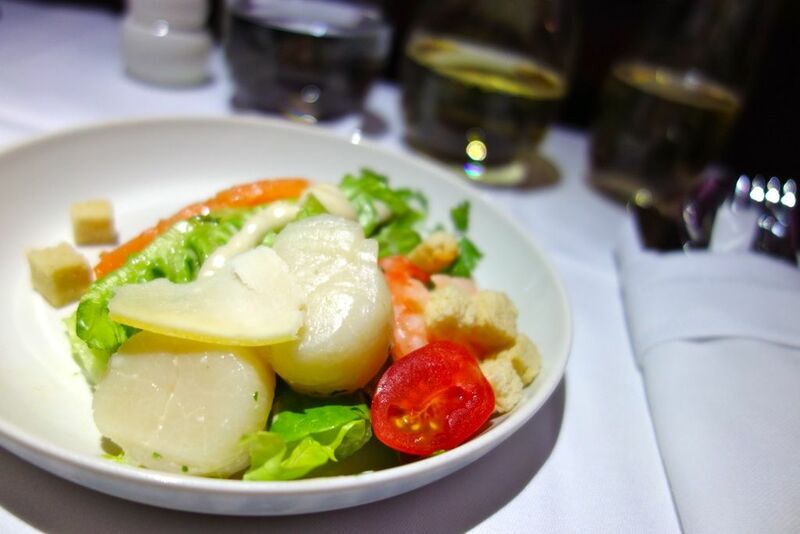 For starters, the Caesar salad with marinated prawns, scallops and smoked salmon. Succulent and juicy scallops. Yums. 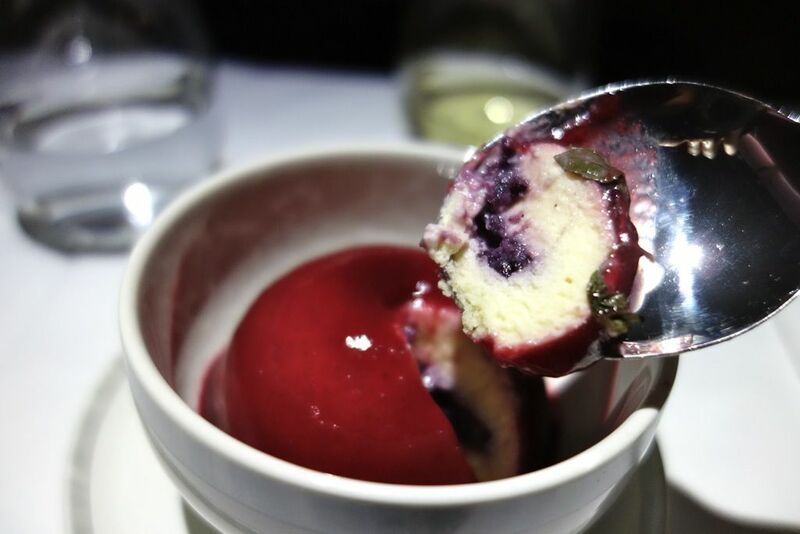 For mains, i decided to give Chef Sam Leong's dish a try. 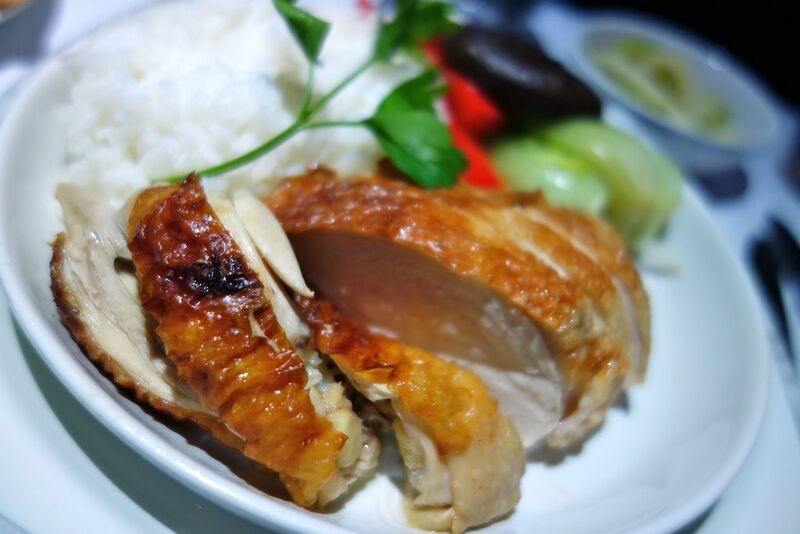 The deep fried chicken with apple salad and black vinegar dressing, vegetables and steamed rice. Sadly, it was extremely bland and dry. I didn't touch the dish after the first mouth and the stewardess was rather concerned and offered me a different dish. 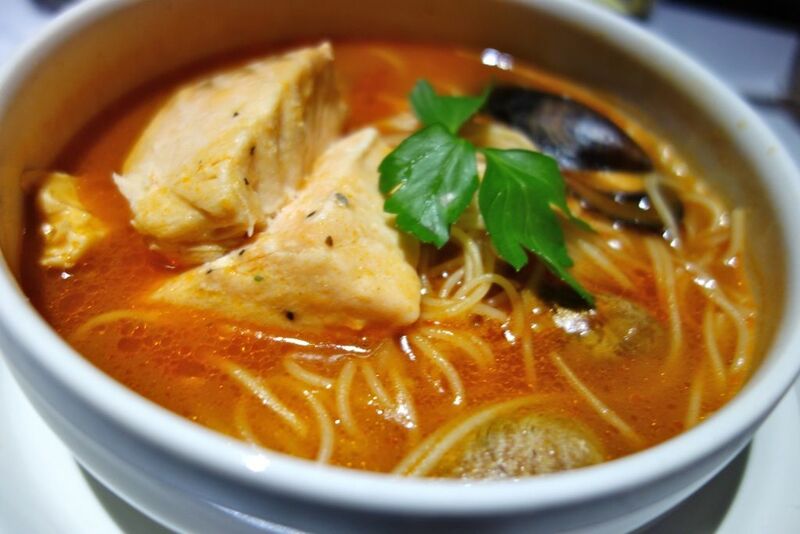 The Nage of Salmon and Mussel in spicy minestrone broth with pasta and vegetables was a savory and hearty dish. The meat wasn't too dry as well. Fish is always a better option on flights even though i'm not a fan. Dessert was the Blueberry cream cheese and maple syrup cake. Followed by the cheese cart and more drinks. Bed time! 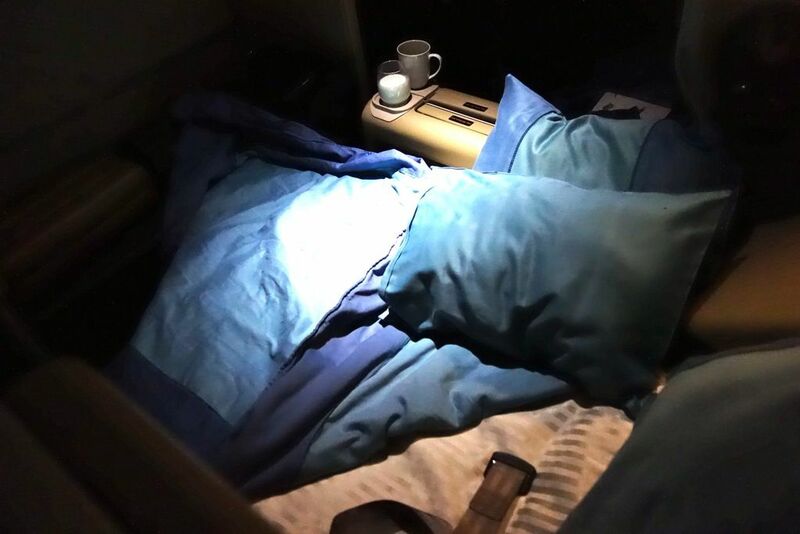 It's a flat bed on the International long haul J class with a dedicated sleeping surface. Love the fresh linen, light duvet and larger pillows. It's a manual process to fold the seat forward but I got the stewardess to turn down for me. Since nobody was seated next to me, i had a bed and a seat for easy rotation. Heh. 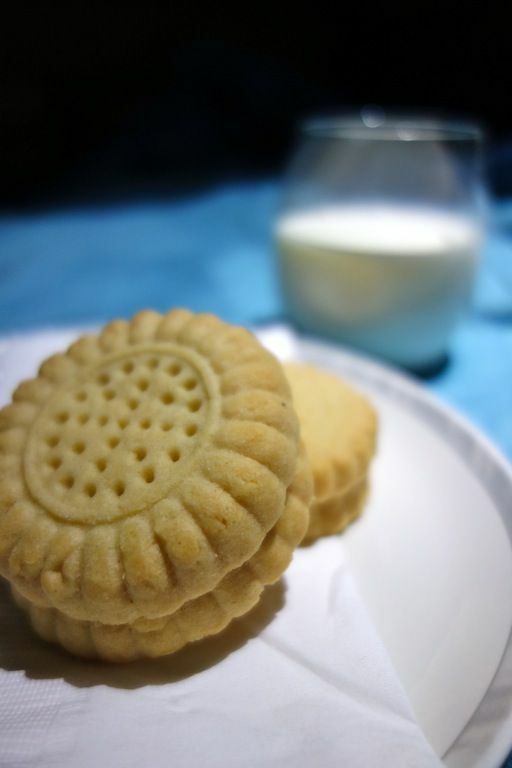 I opted for a light supper instead and had butter cookies with cold milk while I watch my movie in bed. Here's the supper menu anyway. 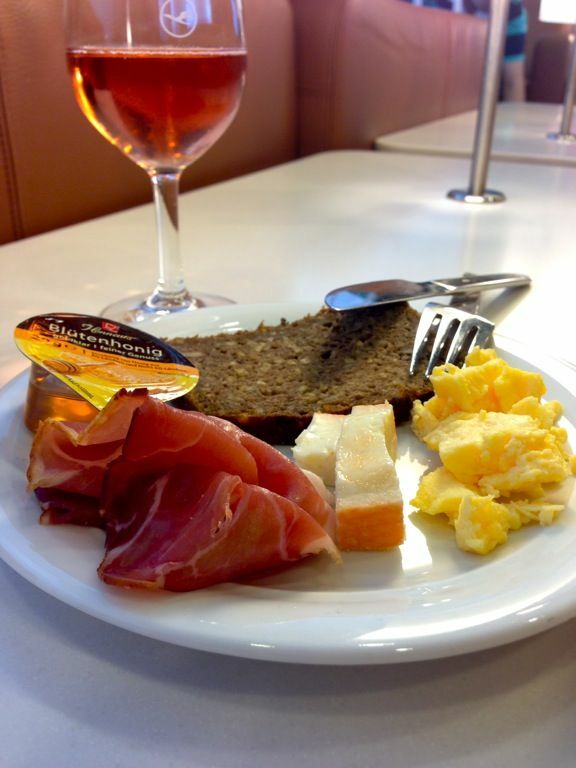 Before landing at Frankfurt for the short layover, breakfast was served. To start, I had my favorite Bircher muesli, followed by Black Forest Ham with caramalised chicory and poached egg. There's also the Singapore fried carrot cake for some local flavor and another omelette dish. 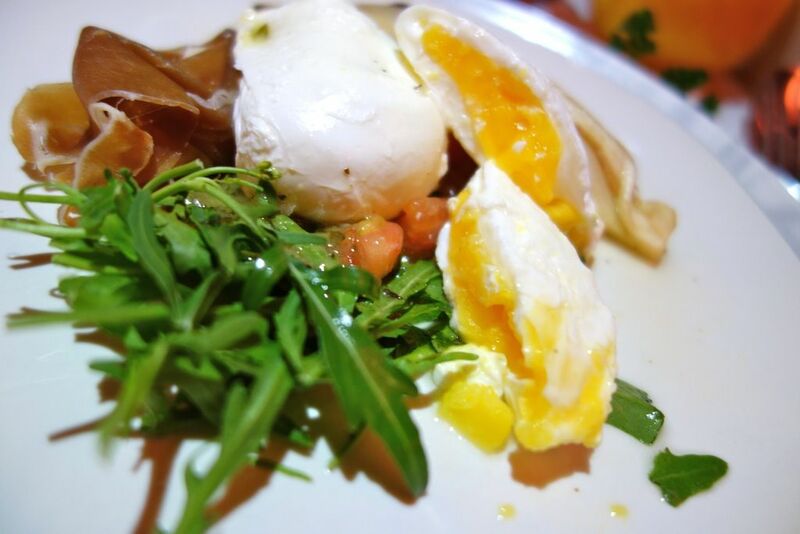 Even though the eggs weren't perfectly poached, it was really good for an airplane breakfast! Quick transit at FRA. 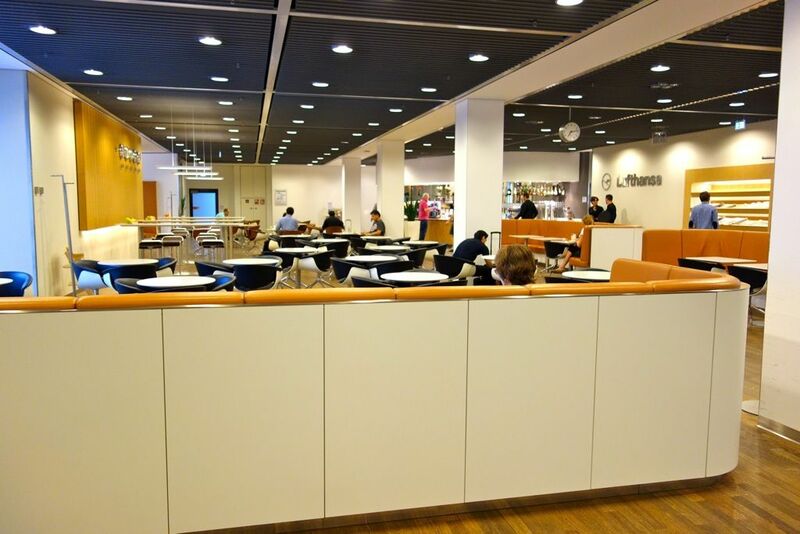 Headed to the Lufthansa Senator Lounge which is on the way to my gate. Spacious and clean facility. Most importantly, they have showers. Nothing beats a hot shower to refresh yourself before or in between flights. 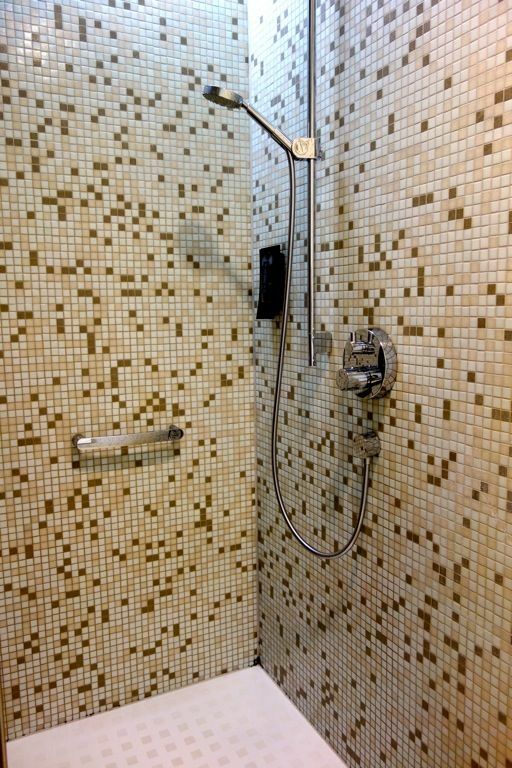 I really need to try the Emirates in plane shower on their first class flight soon. The lounge breakfast had a good spread of breads, cheeses and hams. The breads are full of goodness and absolutely delicious with the honey and other condiments. I opted for a rosé instead of coffee. Next leg to JFK. It's the same seat so I settled back into the routine of eating and watching tv easily. 3rd breakfast! Tomato Cheese Souffle served with bacon, spinach and roasted potatoes. Amazing egg souffle i must say! Then it was lunch. Starter of Mediterranean platter. Stuffed peppers, roasted peppers, grilled zucchini, cheese and proscuitto. Mains was Thai Green Curry with Chicken and steamed Jasmine rice which was delicious. 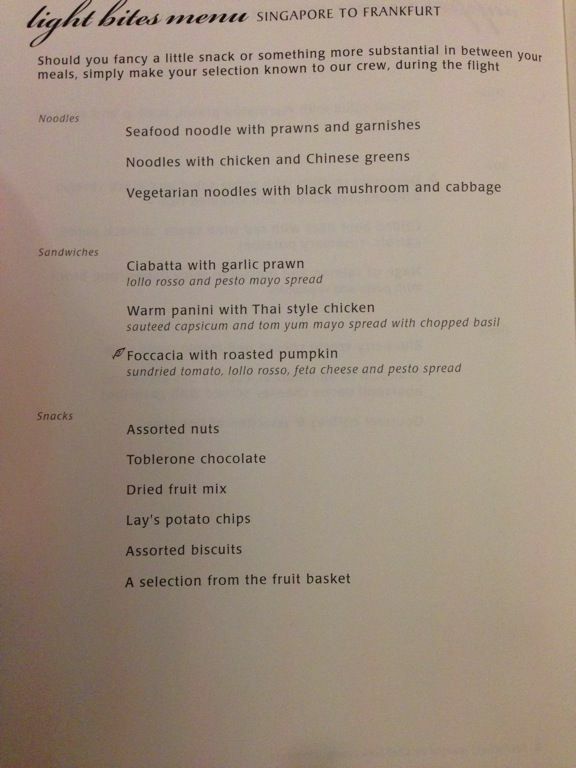 Comparable to TG's thai food offerings on their Business Class. This was one of my easiest long haul flight. I can't imagine flying economy to NYC anymore. Oh the pain. Honestly nothing else can beat this, well other than the non stop SQ37 that i took from LAX to SIN. Can't wait for SQ to bring back the non stop to NYC. Fingers crossed for 2015! Till the next one!